As a child, I was never really into sports (still not). Aside from the required activities in school, I never really cared much for it. In junior high, I was briefly on the track team where we ran about here and there. It’s ironic that, for a person who couldn’t see the point of most sports, that I would choose th one where you ceaselessly ran in circles to participate in. Truth is, I was still one of the smallest kids in school, but I was fast enough. Maybe it was just something I could be good enough at without being embarrassed too much. Funny, there’s so much of that in your adult life too. But I digress. When we were midway through high school, your Uncle Lucas and his family offered to take us skiing with them. I’m gonna guess we made our way up to Sterling Forest, just 45 minutes north of our house in Rockland. I didn’t imagine that it would be something I liked, but I was dead wrong. Skiing was immediately a great deal of fun and shared those same equalizing traits of track. We went skiing regularly for the next couple of years. Your grandma and grandpa were usually working those weekends, but we managed our way with friends and their families up to the slopes as often as we could make it. It was some of the most fun I can remember from high school. Most of the time, though, I went with Lucas, Jennie, and their dad, Mr. (Doug) Binder. Lucas’s dad was a giant when I was a kid, and he’s still kinda a huge person in my mind still. More often than not, he would drive us up first thing in the morning, wait for us through the day, and shuttle us back as the sun set on the slopes. I never really knew what Mr. Binder did all day. I knew he read his novels, but we didn’t have the internet or any of the other distractions we’re used to now back then. I imagine, he kept himself busy with work or a book. All I can say, it sure must have taken a lot of patience. Those rides were long. Shorter on the way up, filled with anticipation and longer on the way back, overcome with exhaustion. 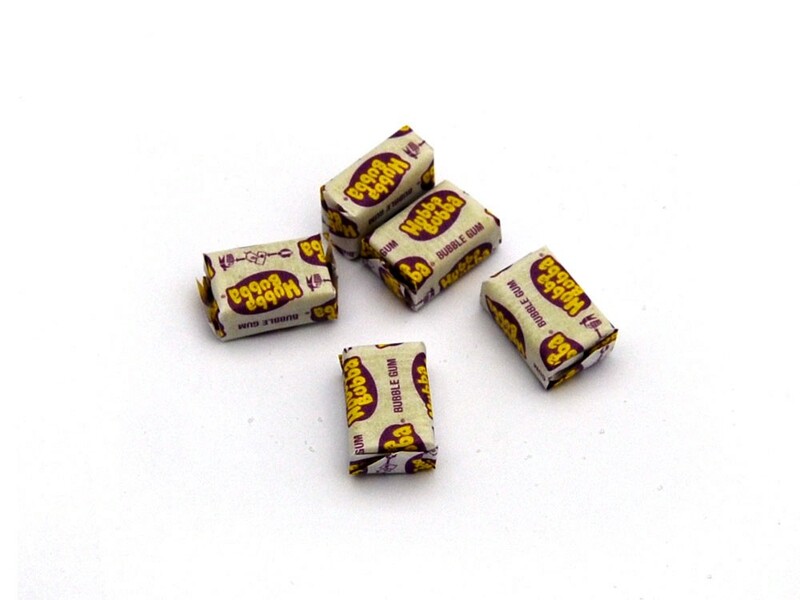 A hallmark of those trips, for me, was always the Hubba Bubba. You see, Mr. Binder drive a Volvo at the time and the small ledge over the radio was perfectly wide enough to hold a pack of Hubba Bubba gum. He would place them out in a row, 5 across. Like a gum-powered machine, those pieces would disappear as our journey gave way to destination. I’d often awake from a doze only to quickly count the pieces before knowing how much longer we had before we arrived. I never forgot those rides… or the disappearing pieces of Hubba Bubba. A few weeks ago, I saw something on the news about a parent who was traveling 4 hours a day to work and back so her child could have their own room in their house. I thought to myself, it really is amazing how much a parent is willing to do for their children. In that moment, though, I caught myself taking for granted all the many times in my life I’d seen those sacrifices, big and small, stacked up. Hopefully you’ll be a parent some day (not soon), and you’ll feel the same thing we parents feel now. But don’t kid yourself, you don’t need to be a parent to know sacrifice. You don’t need to raise a child to learn patience. Everyone is someone’s child and eventually, somehow, everyone is responsible for the care and comfort of another — the quintessential parenting trait. They say patience is a virtue and sacrifice requires being selfless. You can practice both of those as soon as you’re ready, but not before. Children are excellent forcing functions that way, but not the only one. Now, I think about those drives. I think about your grandparents working those very same weekends. I think about it all with fresh eyes, as a parent, not far in age than they were then. I see it all anew. Patience and sacrifice can be massive in scope or tiny in scale. It can be heroic, extravagant, or unexpected. But most of the time, it’s humble, modest, and invisible — like tiny pieces of gum disappearing from the dash. p.p.s As fate would have it, Mr. Binder sent me a message on LinkedIn this afternoon to congratulate me on my new job — so I wrote it now. p.p.s. Thank you, Mr. Binder.